Hi Cristina - Love the great mix of projects on your blog. 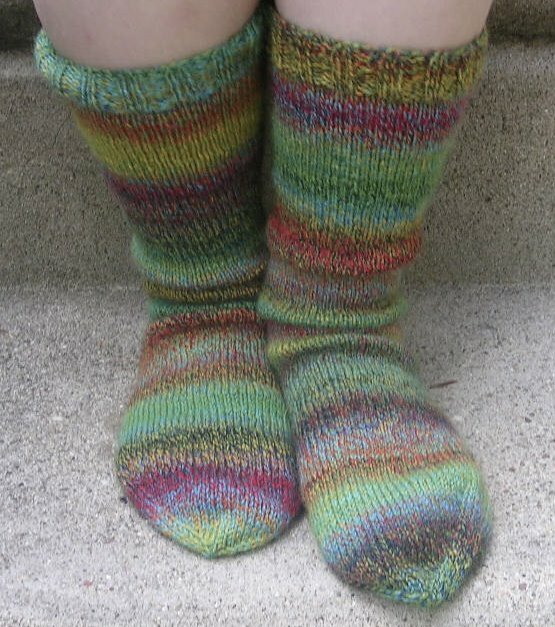 Do you know where the pattern for Eunny's entrelac socks came from? I saw them this morning, and, well, wow! Oh my GOODNESS, those socks are cute on those little feet. I just want to pat them. That yarn! So addicting! So twirly and colorchangey. Lovely wool and the socks have turned out so ncely. What is the make of the wool? Love the link that you posted and I look forward to seeing your go at it. looks like Bruno borrowed them from Cindy Lou Who.